The Inman-Campobello Water District (ICWD) is able to provide water service to the unincorporated portions of Polk County NC via an agreement between Polk County, the ICWD, and the Broad River Water Authority (BRWA). The BRWA, located in Rutherford County, is the supplier of wholesale drinking water to the ICWD and to Polk County. The supply line from BRWA to the ICWD, which was constructed in 2008, runs through Polk County. The completion of this line made water service available to many where there had been little chance of public water service being available before. Since the completion of the “supply” line, Polk County has installed additional water lines in the Green Creek portion of Polk County. All of these water lines are owned by Polk County but are maintained and serviced by the ICWD. The reason for this is that Polk County does not have a water department. Having the necessary equipment, employees and expertise for a water department would obviously add an expense to Polk County and considering the current number of customers, this expense would be difficult to cover by water revenue alone. As a result, the ICWD provides the service with the same water rates as all of the “New District” customers currently within the ICWD. In fact, the only difference between current customers that live in Polk County versus customers within Spartanburg County is that the Polk County logo and the title of “Polk County Water Department South” are included on all correspondence with Polk County customers. 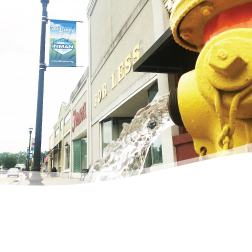 Potential customers in Polk County are subject to the water line extension policy and tap prices for Polk County where as potential customers within Spartanburg County fall under the ICWD’s water line extension policy and tap prices. In essence, the ICWD is the water department for Polk County. The ICWD is glad to provide this service as we believe this partnership makes sense for Polk County and for the ICWD. Please feel free to contact us at any time with questions, concerns, or suggestions. We are here to serve you! Q: How much will it cost me to get water service? A: If your property fronts an existing water line, a standard ¾" residential meter installation may cost as much as $2,200.00. Please contact us for accurate pricing. Q: Is there a price difference concerning the water rates between South Carolina and North Carolina customers? A: No. All customers are charged the "New District" rates. Q: How will you know where to put my meter? A: Once you have fully paid your tap & meter fee you will receive a flag to place near the road where you would like your meter located. We will make every effort to accommodate your desired placement. Q: How long does it take to get the meter installed? A: While an exact time frame can not be given, rest assured we will install taps as quickly as possible. With a normal workload the ICWD installs most taps in 2 weeks or less. Q: Do I own the meter after it’s installed on my property? A: No, the meter and meter box remain the property of the Inman-Campobello Water District. The customer is responsible for all plumbing from the back of the meter box to the residence. Q: Will my yard be repaired where the meter has been installed? A: Yes, the ICWD will make every effort to restore your property to its original condition or better. Q: My well works fine. Do I have to tap on to the water line? A: No. You are under no obligation to connect to public water. Q: Does the ICWD run the water service line to my house? A: No, the ICWD is responsible for the water line up to, and including, the meter. You will be responsible for having the service line connected from the meter to your residence. Q: Can you recommend someone to install the service line to my house? A: It is the policy of the ICWD not to recommend contractors or plumbers. You should be able to find a plumber in the telephone book or you may want to ask friends and family if there is anyone they can recommend. Q: How high will my pressure be? A: This varies by location. Water pressure is calculated based on the ground elevation of your residence and several other factors. North Carolina state regulations require that customers have a minimum of 30 psi at the meter but it is usually much higher. Q: How much will I pay each month for water? A: Under the New District rates, the minimum monthly bill for a residential customer with a ¾" meter is $20.16 which includes up to the first 2,000 gallons of usage. Consumption used above the 2,000 gallons will be charged $3.25 per 1,000 gallons. A typical family uses approximately 6,000 gallons per month. This would result in a monthly bill of $33.16. Please visit our website for our current rate schedule at http:/www.icwd.org/rrr_rates.html. A: Bills are mailed on a monthly basis. A: Payment is due 20 days from the date of billing. On the 21st day a $5.75 late fee is added to your balance if the bill has not been paid. On the 26th day a $30 non-payment fee is added to your balance and the water service is turned off until the balance, including the $30 fee, is paid in full. A: Payments can be made in person at our office at 5 Prospect Street, Inman, SC; on our website at www.icwd.org; or on the ICWD 24-hour automated phone service at 877-201-4094 (toll-free). Q: Can I pay with my credit card/debit card? A: Yes. ICWD offers several payment options using a Visa or MasterCard. You can make your payment online at www.icwd.org, in person at the ICWD office, or by calling the ICWD 24-hour automated phone service at 877-201-4094 (toll-free). Please note that a $2.00 credit card fee will be added to credit card transactions over the internet or by phone. Q: Do you have an Equal Payment Plan? A: No, not at this time. If you do not use much water for irrigation your bill will not vary greatly. Q: Can I have my bill drafted from my checking account? A: Yes, you simply need to complete a bank draft form and provide us with a voided check. If your account is on bank draft you should plan on your account being drafted twenty (20) days from the date of billing. Q: Will I get a credit on my bill if I have a leak? A: Once we have verified that the leak has been repaired you may be eligible for a partial adjustment if your consumption doubled during the billing cycle. Q: Is there someone on call after business hours for help? A: Yes, just call (828) 863-2295 or (864) 472-2858 and press option 2. Q: What do I do with my existing well? A: Wells must be disconnected from your plumbing once you begin receiving service from the ICWD. You may continue using your well for irrigation, other outdoor related watering, or even drinking water as long as the well plumbing is not connected to the same plumbing as your new service. This is necessary by regulations in order to ensure that well water does not mix with ICWD water. Q: How often does the ICWD increase rates? A: The Inman-Campobello Water District did not raise residential rates in a span of twelve years from 2001 to 2013. The Commissioners of the ICWD will deem it necessary to raise rates accordingly based upon the needs of the ICWD. The ICWD is a utility that is owned by the public and therefore makes every effort to ensure the public's money is spent wisely. 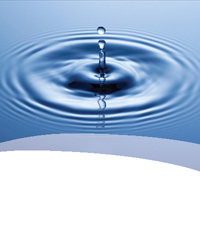 Q: Do I need to have my water tested like I do at times with my well? A: No. The BRWA and ICWD adhere to strict government standards which regulate the quality of drinking water. 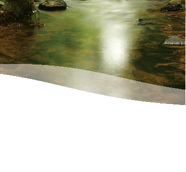 The water has been filtered and treated in order to remove harmful contaminants. Q: If the power goes out will I still have water? A: Yes. Unlike with a well, your water service will not be disrupted due to a power outage.